Make visual checks on all your shutoff valves. The first step is to make a visual check on all the water shutoff valves to see if they’re all open and if the storage tank is full. Conduct flow tests periodically. Flow tests are also a definite must and should be conducted every few months. Having a system with a clearly-labeled flow-test valve that sprinkles to the outside can help tremendously in this regard. To test, simply open the valve slowly and let the water run its course for more than a minute. Check the sprinkler components. Make sure that the sprinkler heads and cover plates are not painted over as this will cause problems with their operation. Use visual signs. Majority of hazards resulting from sprinklers often result from locking the sprinkler valves in the closed position by mistake. Placing signs near the sprinkler components can help remind you and anyone in your house or building what the correct positions are. Secure the control valves. If your valves are connected to your fire alarm system, you can supervise them electronically. You can also try putting up LO/TO signs to prevent unauthorized closures. If you have doubts about whether you’ve checked it properly or not, check with your local fire marshal regarding laws regarding sprinklers your area and how to know if a sprinkler inspector is licensed and legitimate. For more information about in-home fire sprinklers, call CJ Suppression at 888-821-2334 or visit the website at www.cjsuppression.com. While it’s true that plenty of states do not conduct sprinkler inspections once they’ve been installed, let alone require them, it doesn’t mean that you shouldn’t regularly inspect them yourself. Conducting regular maintenance and inspections for residential sprinklers are always a good idea. Besides, they’re not even that difficult to do and you can easily do it yourself. Make visual checks on all your shutoff valves. The first step is to make a visual check on all the water shutoff valves to see if they’re all open and if the storage tank is full. The latter is optional since not all sprinkler systems have their own storage tanks. Those living in areas where temperatures routinely drop below zero, as well as those where the pipes are placed in the attic should also check their pipes to see if they’re properly insulated. Conduct flow tests periodically. Flow tests are also a definite must and should be conducted every few months. Having a system with a clearly-labeled flow-test valve that sprinkles to the outside can help tremendously in this regard. To test, simply open the valve slowly and let the water run its course for more than a minute. Also, keep in mind that if your sprinkler system is connected to the fire alarm, this testing may cause it to trigger. So, before doing this, make sure that you notify your alarm company first so the fire department aren’t called by mistake. Check the sprinkler components. Another thing that you should do is to make sure that the sprinkler heads and cover plates are not painted over as this will cause problems with their operation. Also, place stacks of boxes and shelves far away from the heads. Secure the Control Valves. Routinely check if all sprinkler control valves are locked in the open position. If your valves are connected to your fire alarm system, you can supervise them electronically. You can also try putting up LO/TO signs to prevent unauthorized closures. Whether it’s required in your area or not, what’s true is that sprinklers have a long history of saving both buildings and lives from fires over the years. True, there’s no such thing as absolute protection when it comes to accidental fires, but having a sprinkler system that works properly and having a fire alarm system in place could mean the difference between lives lost to just a few pieces of furniture being burnt or destroyed. If you have doubts about whether you’ve checked it properly or not, you can hire a sprinkler contract to double check it for you. Be sure to check with your local fire marshal as well to tell you about what sort of laws regarding sprinklers govern your area and how to know if a sprinkler inspector is licensed and legitimate. Fire sprinklers are not new. In fact, they’ve been around for more than a century already and, in that time, sprinklers have prevented potential catastrophes, as well as saved the lives of thousands of people. Though, if that’s the case, why are many homeowners still hesitant to have them installed in their own homes? Well, there are many reasons for that, the main being that plenty of homeowners don’t really think that they’re that good of an investment. 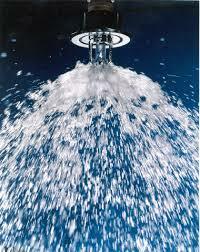 Fire sprinklers add to a continuously growing list of expenses that homeowners have to account for. Plus, most are content with simply installing fire alarms and extinguishers. And, if needed be, most people today have access to help, courtesy of the nearest local fire station. As smart as smoke alarms are these days, they can’t extinguish fire. 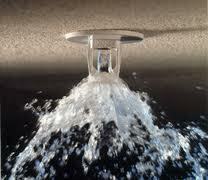 Sprinklers do, though, and they will continue to do so as you and your family run for safety. Also, by stopping the fire as soon as it starts, sprinklers can prevent, or at least reduce the amount of property damage. Real life sprinklers cover only the area of the fire. Contrary to popular belief, sprinklers are activated individually. This means that the closest sprinkler to the fire is the only one that will activate. In most cases, just one sprinkler is enough to contain your average house fire and prevent further damage. Sprinklers are not activated by smoke. Your fire alarm going off because of burned toast and a snuffed candle certainly can be annoying. With sprinklers, you don’t have to worry about that because they are activated via heat, not smoke. Sprinklers will activate almost immediately. It won’t take longer than a minute for the nearest sprinkler to activate and spray water onto the fire. That’s a whole lot less time than it takes for your local firefighters to get to your home. Also, sprinklers can help slow down the fire and minimize the damage done until the firefighters arrive to completely douse the fire. Sprinklers are cost-effective, somewhat. Not that you’re paying for their water, but firefighters use an average of 2,935 gallons to extinguish your regular residential fire. That’s many times more than the 341 gallons of water used by sprinklers on average. Residential sprinklers don’t have to look bad. Another common misconception among homeowners is that sprinklers always have to appear bulky and therefore, may interfere with their whole interior décor. That’s not exactly true, though, because today’s sprinklers are available in a variety of designs for homeowners to choose from. Your insurance provider may lower your premiums thanks to your sprinkler system. Be sure to contact your home insurance provider to know if this applies to you. 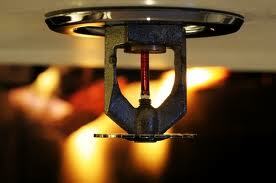 For more information about fire sprinklers call CJ Suppression in Corona, CA at 888-821-2334 or visit www.cjsuppression.com. Many people hear the term ‘fire suppression’, and naturally think of certain environments – like electronics-filled datacenters, where traditional fire sprinklers not only only not effective, but potentially very damaging to the assets they’re meant to protect. However, fire suppression systems come in many different styles, and can be incredibly useful for a variety of industries. – Finally, in places where ordinary substances need to be protected, simple water or water mist may be used. There are a wide variety of fire suppression systems, and knowing which to use is difficult. There are a number of different federal, state and local codes to follow, and industry best practices to consider when designing, installing, and maintaining your fire suppression system, so consulting with an expert is vital to complying with the law and maintaining a safe environment for both people and assets. Fire suppression is a science – from the choice of materials, to the placement of the suppression system, it takes a significant amount of education and experience to properly design and implement a suppression system capable of meeting its designed purpose. However, design and implementation are just two of the three components of a successful fire suppression system – just as important is the third phase, maintenance. Proper fire suppression maintenance is vital – the company that designed and implemented the suppression system likely set a maintenance schedule that included hardware inspection, routine replacement of some components, and testing. It’s important that all three of those schedules are followed – so important, in fact, that it’s often required by law or local fire codes, even if inconvenient. For example, in Colorado, the Colorado Department of Transportation will close a tunnel along I-70 two nights in November 2015 to test their fire suppression system – using heat detection to trigger a water system and activate cameras. 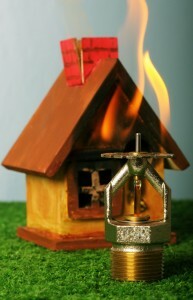 Proper testing will confirm all three aspects of the system – not only will it determine if the heat detection is as accurate as intended, and that it functions properly once installed, but the test will confirm that the water suppression is accurately triggered, and that the monitoring cameras properly activate to allow personnel to assess the nature of the fire. If you have a building, assets, and people to protect, having a proper suppression system is step 1 – it will not only protect that which is important to you, but will also allow you to comply with relevant codes. A competent designer and installer of your system will be able to create maintenance and testing plans – if your vendor does not offer a maintenance and testing plans, be sure to consider other vendors, as all reputable vendors will have a maintenance and testing plans available. 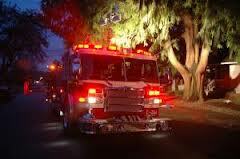 A small fire related accident occurred at a chemical plant in Longview. Officials claim that a pump motor failed, causing the fire to erupt and the fire suppression system to activate. A 911 call was made by one of the staff members of the chemical plant around 6:37 pm and by the time the fire units arrived, the fire was out. According to a staff member, the chemical plant is equipped with an automatic sprinkler system and a large foam system. The chemical plant’s fire suppression system controlled the fire and prevented further damage that could have been caused from large tanks of hydrogen. Officials claim that no individuals were injured from the accident because the fire suppression system eliminated the fire in a matter of minutes. 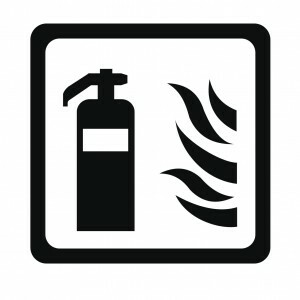 For more information on how fire suppression systems prevent fire related accidents call CJ Suppression in Corona, CA at 888-821-2334 or visit www.cjsuppression.com. CJ Suppression of Corona, CA also proudly serves San Bernardino, Yorba Linda, Anaheim, Victorville, Irvine, and surrounding areas. On Wednesday April 9th, rescue units were dispatched to River Run Senior Living Apartments where they soon observed that smoke was coming from the first floor apartment. Upon entering the apartment, firefighters concluded that the fire started in the kitchen. Despite a few minor damages, the fire was contained and extinguished by a fire sprinkler system. The resident of the apartment was safe with no major injuries, however the firefighters emphasize that without the fire sprinkler system, the apartment would have been in ruins. If the fire escalated to an uncontrollable degree, many of the other residents of River Run Senior Living would have been seriously hurt and face a tremendous amount of property damage. The incident at River Run Senior Living is just one of the many cases where fires have started in unexpected times. For this reason, CJ Suppression highly emphasizes the installation of fire sprinkler systems in homes, businesses, and any building. 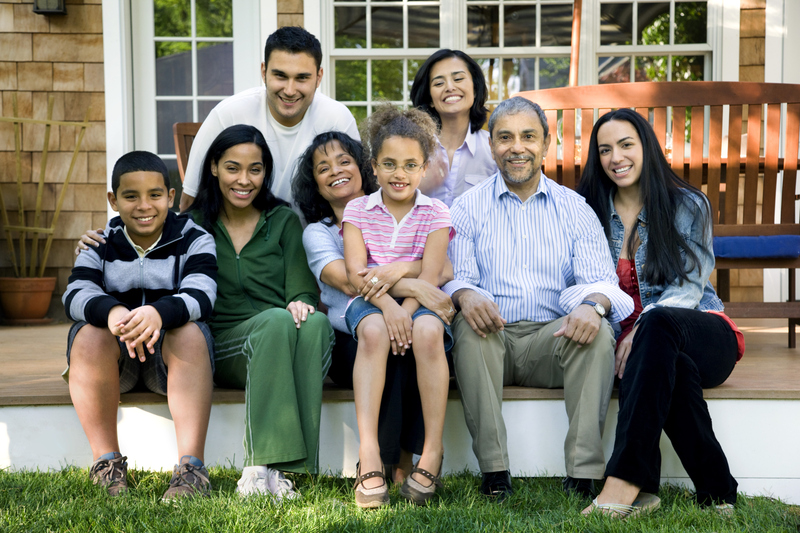 In order to ensure the well-being of family members, employees, and other individual the professionals at CJ Suppression guarantee top quality products and service. 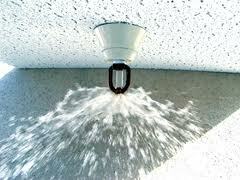 So call CJ Suppression today because fire sprinkler installations could be the step in saving thousands. For more information on fire sprinkler installations call CJ Suppression in Corona, CA at 888-821-2334 or visit www.cjsuppression.com. CJ Suppression proudly serves Corona, Riverside, Ontario, Rancho Cucamonga, Chino, Fontana, and surrounding areas. On Friday March 28th, the Mariner’s Cove Inn in Point Pleasant, NJ caught on fire causing the death of four individuals and serve injuries to eight others. Although the incident is said to be caused by a piece of furniture that caught fire from a cigarette, David Kurasz, executive director of the New Jersey Fire Sprinkler Advisory Board claims that the fire sprinklers were extremely outdated. Because the motel began operating in 1985 it was not equipped with the proper fire sprinkler installation that modern hotels, motels, and bed-and-breakfast are required to have. According to Kurasz “People don’t realize how quick a fire starts and how quick it travels and spreads. You have so much less time than you think you do in a fire situation. You have seconds, and it’s not ‘let me grab my things or let me do this.” Kurasz goes on to say that with a proper fire sprinkler installation, those individuals who died and suffered injuries would have survived. In order to promote public safety, the professionals at CJ Suppression encourage individuals to have a thorough fire sprinkler installation so that incidents like the tragedy at the Mariner’s Cove Inn do not occur. CJ Suppression have only the most skilled workers to ensure that the public is safe from fire accidents that can arise from something as small as a cigarette. To avoid any health and safety hazards, consult with the professionals at CJ Suppression for a fire sprinkler installation. For more questions on fire sprinkler installation call CJ Suppression in Corona, CA at (888) 821-2334 or visit www.cjsuppression.com.